Join us as we rally with the Graduate Workers of Columbia (GWC-UAW) at the March to End Family Separation, tomorrow (Saturday, June 30th) at 10am. Tomorrow, we will join thousands of New Yorkers in a national day of action to demand that Donald Trump and his administration stop separating kids from their parents while being detained and fight for families to be reunited. We will meet up outside the J Z Chambers Street station at the southern end of Foley Square at 10:00AM. Look out for the UAW signs! If you have any questions or can’t find us at the March, contact Corin at 202-380-5755. We are also having a BBQ this Sunday, July 1st to celebrate the growing majority support for our union. Please let us know if you can make it. 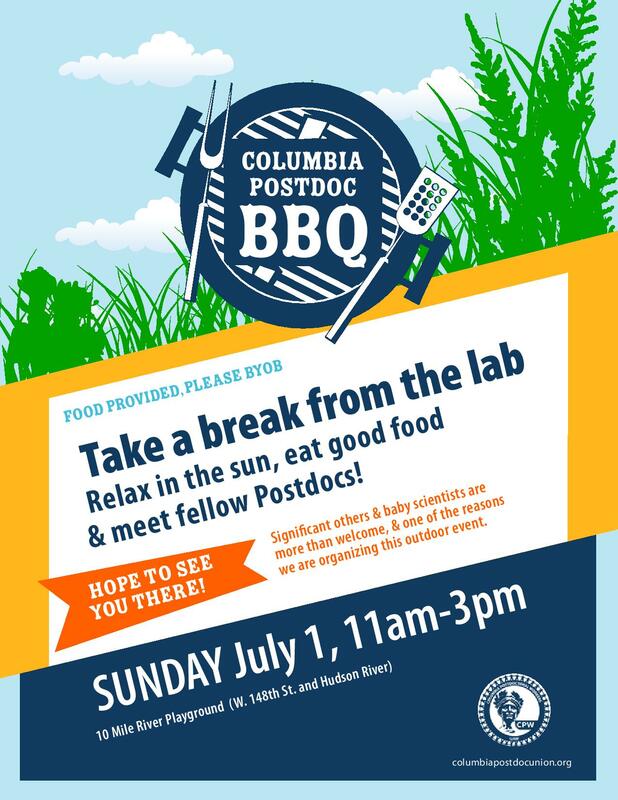 The BBQ will be a good space to get to know one another in a different setting from our labs and offices, as well as talk about next steps in forming our union. We will be getting together this Sunday from 11-3pm, in Riverside Park at 10 Mile River Playground (W. 148th St. and Hudson River) Significant others and baby scientists are more than welcome, and one of the reasons we are organizing this outdoor event. Also feel free to bring food to share though we will have plenty of burgers and dogs.